2900 N. Menomonee River Pkwy. We American-Chinese girls had to whisper to make ourselves American-feminine. Apparently we whispered even more softly than the Americans. Once a year the teachers referred my sister and me to speech therapy, but our voices would straighten out, unpredictably normal, for the therapists. Some of us gave up, shook our heads, and said nothing, not one word. Some of us could not even shake our heads. At times shaking my head is more self-assertion than I can manage. Most of us eventually found some voice, however faltering. We invented an American-feminine speaking personality, except for that one girl who could not speak up even in Chinese school. · Dillard, Annie. An American Childhood. 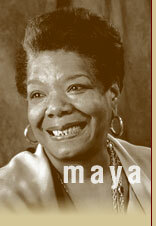 · Angelou, Maya. I Know Why the Caged Bird Sings. · Hurston, Zora Neale. Their Eyes Were Watching God. · Kingston, Maxine. The Woman Warrior. · Excerpts from Amy Tan, Carolyn Heilbrun's Writing a Woman's Life, Annie Dillard's "To Fashion a Text," etc. (will be handed out in class). Description: "Women Writers-Fiction and Autobiography" will focus on the way women have depicted their lives in fiction, non-fiction, and what has been termed "auto-fiction." In writing their lives, either fictionally or autobiographically, women work with or against a long tradition of literature primarily developed by men. How does a woman write her life? Does fiction provide more freedom for women than autobiography? How have women been depicted in literature? How have these depictions influenced the way women invent their lives? What is the difference between fiction and non-fiction? Is our memory of an event "true"? How have women navigated the gray area between fiction and non-fiction, or even fantasy? These are merely some of the questions we will be asking (and possibly never answering) as we explore both primary and secondary texts of women's fiction and autobiography. · to consider overarching themes and the vast richness of women's life-writing-both fictional and autobiographical. Assignments: Readings, participation during class discussions, one panel presentation, one reaction paper, and final take-home exam. Group work: Throughout the semester, you will occasionally be given discussion questions and divided into groups. Ideally, everyone in the group should participate and help when presenting the group's findings. All papers must be typed. Late papers will not be accepted without prior arrangements and may be subject to a lower grade. Attendance: Attendance is expected. Even one absence in an accelerated course hampers your progress considerably. Please contact me if you must be absent and then make arrangements to get the materials/information/notes you missed. Reading Assignments: This course requires reading (no big surprise there! ), and it is very obvious when you aren't keeping up with the reading (I tend to get the "My feet are looking very interesting today"-look, or the bright, a`lert look at my forehead as though the answer is going to be displayed on an anatomical marquee. Please keep up with the readings. Note: People who point out errors on my syllabus automatically flunk the course. Read Dillard Essay - "To Fashion a Text"
Take-home tests collected and discussed-or-response journals collected.